Do You Know Jay Weller? Barista Pro Shop began in 1994, when chocolate syrups were still packaged in Tetra Pak bricks, customers needed info sheets explaining what scones were, and Friends’ Central Perk was starting to inspire an upsurge in caffeine-fueled gathering places around the world. From what began as a simple operation to sell baked goods in the Loveland/Fort Collins area of Colorado, Barista Pro Shop has grown to be a premier supplier for coffee shops and hospitality businesses across the country. Co-owner Jay Weller reflects on the company’s days of slinging scones, the shifts in consumer trends, and being part of coffee’s growing community. This interview has been edited for clarity and space. How did the bakery business evolve into Barista pro shop as it is today? The bakery business operated in tandem with a bed and breakfast, and the owners were looking for some additional revenue streams. We came up with a number of different things we could do, and one of them was to sell scones to local coffee houses, of which there were three. Over time, the owners invited me to buy into the business. And then I met my wife, Jennifer, and we were invited to buy the bed and breakfast owners out of the bakery, so we did. That’s when the distribution started. We had struck up a relationship with Ghirardelli—we used their ingredients in the products we were producing, and it was also a product that we could sell to coffee houses. I used to go out on Tuesdays to visit customers, and I was proud of the fact we were using Ghirardelli and buying it directly. They said, “Oh, can you get us this powder for our mochas?” So I asked Ghirardelli, and they said we could sell whatever to whomever, all we had to do was meet the minimum orders. And that was the day you became the middleman. Exactly. It started with Ghirardelli, then we brought in Oregon Chai—which was still independent at the time, owned by Heather Howitt—and then we brought in DaVinci syrup. And at the time, that was basically it: you had a chocolate, a chai, and a syrup, and that was all coffee houses needed. Obviously that’s changed significantly since. What were some major turning points for the company? 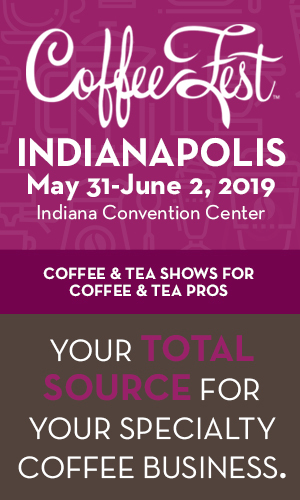 There was an SCAA show in Denver in 1998; we showed our bakery products, and we showed DaVinci, Oregon Chai, and Ghirardelli—that’s really what got us going. Another big milestone for us was in 2004, when we launched our website. This was before it was a foregone conclusion that companies would have websites. And if companies had them, often it was just a brochure. But ours was an interactive e-commerce website. It’s a huge part of what we are, too. 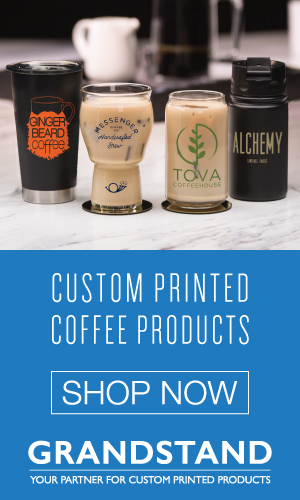 The website obviously has all the ease of online ordering, but it also has a lot of information on it; it’s a good introduction to Barista Pro Shop, and also to the industry. 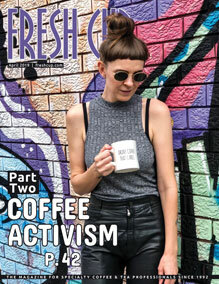 How has the landscape of the coffee industry transformed since the early nineties? The interesting thing to me is the consumption of coffee and how that’s changed. I can remember going to the grocery store as a kid and the grocery store had free coffee—the store with free coffee was the one we went to. Juxtapose that with where we are today and what people will spend for a cup of coffee, that’s probably the biggest transformation. It took a big national/international retailer to do something like that. And to tell people it was OK to spend three or four dollars on a coffee drink. What are some of the biggest changes you’ve seen in what you’re supplying, and WHO you supply to? 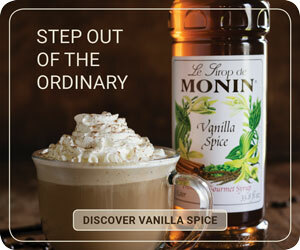 The biggest thing is the breadth of products available, and innovation of ingredients. You’re also seeing a huge branch out of those products and ingredients being used in other applications: bar industry, restaurant industry; now you see an espresso machine everywhere. Coffee used to just be a drink consumed in the home, and now it’s gone everywhere out in the public, too.